One of the most exciting and anticipated events of the year is slowly approaching. The 18th annual Food Network & Cooking Channel South Beach Wine & Food Festival (SOBEWFF®) is only a couple of months away, taking place from Feb. 20 to Feb. 24. The festival is hosted by Southern Glazer’s Wine & Spirits and FIU, benefitting the Chaplin School of Hospitality & Tourism Management and the Southern Wine & Spirits Beverage Management Center. More than 60,000 visitors attended the five-day festival last year, which will offer more than 115 events across South Florida for its 2019 edition. 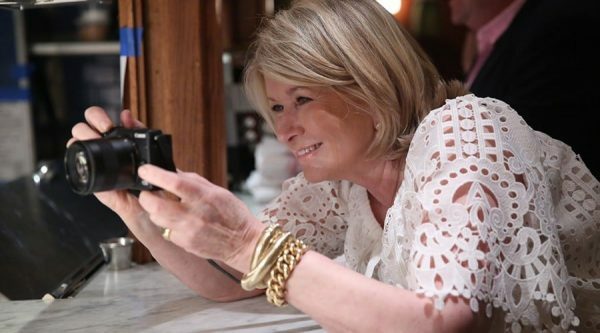 “Wine and Cheese Happy Hour” will be hosted by Martha Stewart. When it comes to star power, SOBEWFF® is renowned for gathering some of the most recognizable names in food for its events. Lovers of all things Italian can join Food Network chef Giada De Laurentiis for Italian Bites on the Beach, where she and 30 other talented chefs will lead guests on a charming tour through Italy’s finest dishes and wines at the North Venue Beachside behind the Delano South Beach. The same hotel will host Guy Fieri’s Beachside BBQ, which the charming rockstar restauranteur previously hosted in 2012 and 2015. This time around, he and 30 other “grill maestros” will fire up their grills and make an assortment of succulent barbequed meats for all kinds of creative dishes. GRAMMY® award-nominated artist Cassadee Pope will be joined by Lukas Nelson & Promise of the Real for a captivating country-rock performance to set the mood for this high-energy event. Wine and Cheese Happy Hour, presented by Carr’s Crackers, will be hosted by lifestyle expert Martha Stewart. It will take place at No.3 Social Roof Bar & Lounge, a rooftop bar in the Wynwood Art District. This casual outdoor affair will offer guests the best in wine and cheese, from French delicacies to dutch goudas and sharp American selections to go with Southern Glazer’s Wine & Spirits finest wines. All the ingredients for an unforgettable night. For those who are looking to not stray away from a tight budget or are coming with their loved ones, there is an endless assortment of events catering to the needs of everyone. For those on a budget, there are many that fall under $100, such as the Craft-y Happy Hour, a poolside event at the Mondrian South Beach Hotel hosted by Robert Irvine. This happy hour will serve the best of artisanal spirits and small batch brews for just $95. Those looking to have a good time and get some exercise will be drawn to Buddhas and Bellinis” at the Loews Miami Beach hotel. 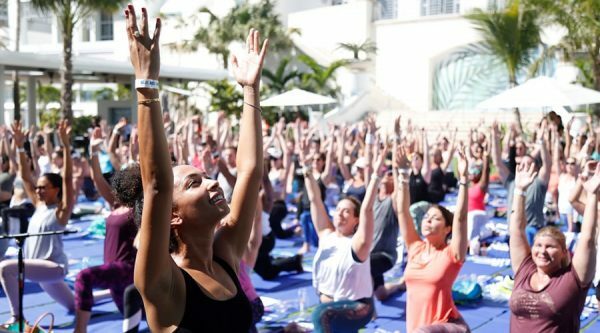 One of many casual and relaxing outdoor yoga events, this mindful session will be paired with some delicious bites and bellinis for just $35. There are family-friendly ones too, like the Family Ice Cream Social hosted by Buddy Valastro of Cake Boss fame. Drag Brunch hosted by Alex Carr and Elvis Duran at The Ritz-Carlton Fort Lauderdale will make its SOBEWFF® debut as part of the Festival’s featured CRAVE Greater Fort Lauderdale Series, in collaboration with the team behind PRIDE Fort Lauderdale. A dozen chefs will prepare dishes inspired by South Florida’s most popular drag performers, which will also perform at the event. More than 1,000 people, many of which are FIU students, volunteer at the festival each year. The festival is also an enormous opportunity to support FIU students and local businesses and restaurants. Restaurateurs like Zak Stern, owner of Zak the Baker and Misha Kuryla of Misha’s Cupcakes are just two of Miami’s food entrepreneurs who will also be participating in this year’s events. 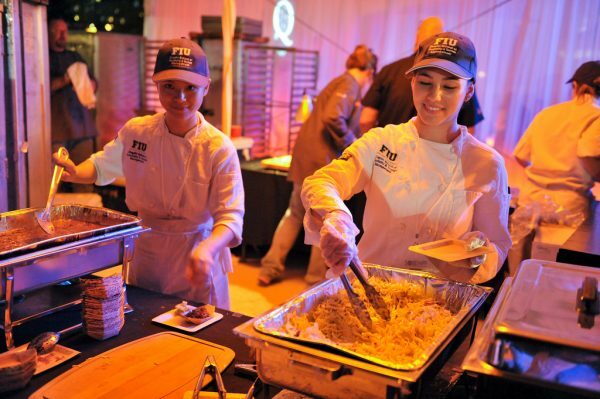 On top of this, every year, more than 1,000 volunteers donate their time to the festival, many of which are FIU students who get to earn real-world experience in the world of hospitality. All proceeds from the Festival benefit the Chaplin School of Hospitality & Tourism Management at FIU. To date, the Festival has raised more than $28 million for the school. Members of the FIU community are invited to save on select* events, including the Beachside BBQ hosted by Guy Fieri and the Italian Bites on the Beach hosted by Giada De Laurentiis as well as BACARDI’s Beach Carnival, which will be hosted by Andrew Zimmern beachside at the Ritz-Carlton, South Beach. The casual outdoor event will take place under the festival’s signature white tents right on the sand. Savings for the FIU community also apply to tickets for Goya Foods’ Grand Tasting Village featuring Mastercard Grand Tasting Tents & Culinary Demonstrations on Sunday, Feb. 24, which will feature foods from more than 50 local restaurants as well as wines from Southern Glazer’s Wine & Spirits. The event will be accompanied by eclectic music from the Nu Deco Ensemble and the return of the David Grutman Experience. *University employees and alumni can save 20 percent on tickets for select events using the codes FIUSTAFF19 and FIUALUMNI19, respectively. FIU faculty and staff savings cannot be combined with Mastercard offers at these events. One of the newest features SOBEWFF® is offering is the option to pay their tickets in monthly installments, so you can pay for your tickets over time. Just select the “monthly installment payment plan” option at checkout after selecting which events you’d like to attend. Get your tickets for the Food Network & Cooking Channel South Beach Wine & Food Festival here.